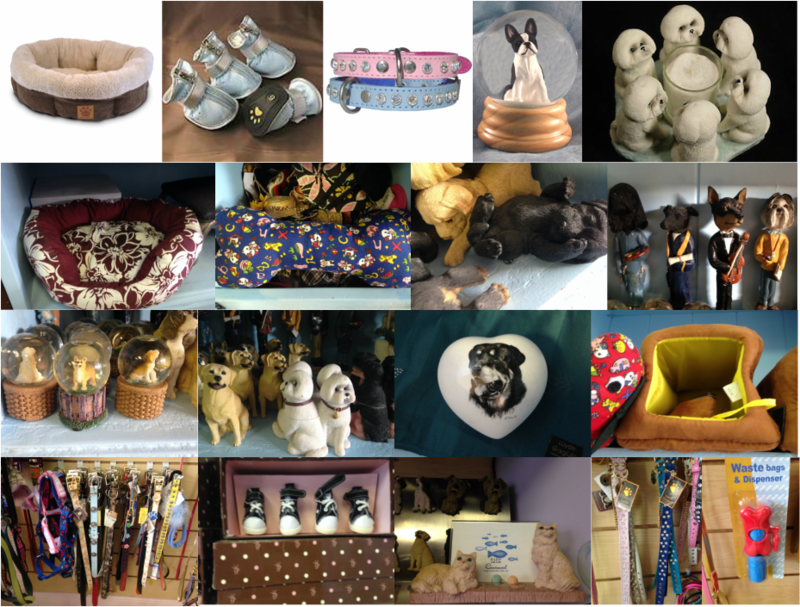 Collars, Leashes, Beds, Dog-related house items, and more! All of the house items we sell come in different dog breeds. We also have a variety of colors for beds, leashes, collars, and even shoes.